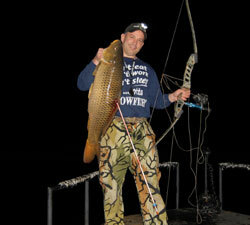 If you’ve been part of Bowsite.com for more than a couple of years you already know that I am a bowfishing junky. 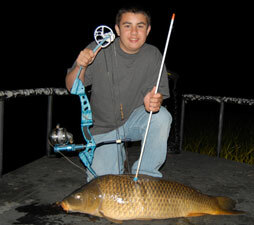 I started bowfishing at the young age of 17 when I would drive my mom’s old Cutlass Supreme to a swamp not far from our home and would walk out into the reeds with hip waders, polarized glasses, a bow, fish reel and a fiberglass arrow tied to a string. I’d bake in the sun for hours hoping to get a passing shot at a carp and on one particular day I actually shot one. I’ve been hooked ever since. 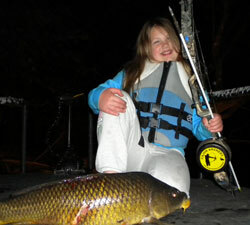 Interestingly, that same swamp near my parents’ home is still my favorite spot to kill carp nearly 30 years later. However that swamp is basically the only thing that remains the same. My gear, my methods, and my motivations have changed dramatically since then. This article discusses the gear and techniques that I currently use in 2010. It is by no means the only gear available, just the stuff I’ve found useful and I’ve tried it all. In ten years my bow has not changed much. I still prefer to use my old Renegade Recurve bow. Mine has been through hell and back and it still works perfectly. What’s best about it is I can step on it in the dark, scrape carp eggs off the handle, beat the occasional fish with it, and it still shoots perfectly. My oldest son uses this bow too and the old man gets to use it only after he’s wiped out after a night of fishing. My youngest son turned 12 in 2010 and he had a good bit of problems finding a bow/arrow combination. After lots of trial and error we landed on this setup which works fantastic for him. It’s small, powerful, and easy to shoot since there is no valley on the draw- a PSE Barracuda. When it comes to reels everyone has an opinion on what’s best. 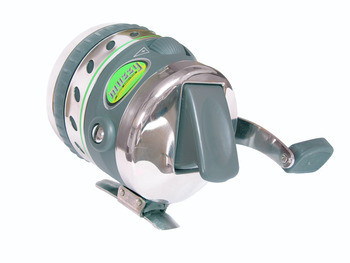 My personal favorite for carp and fish under 50lbs has always been the big closed face (zebco) type reels. 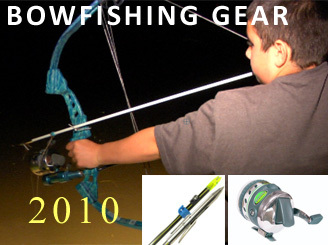 You fill these with special bowfishing string and mount them to the front of your bow. The only downside to this reel is you have to be conscious of clicking the casting button prior to each shot. My sons and I got in the habit of regularly giving the string a tug regularly while fishing. If the string pulls freely you are ready to shoot. If it locks up, then you need to hit the button. 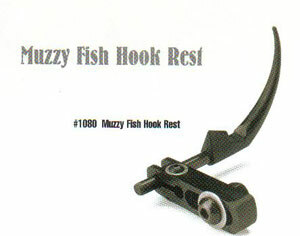 For carp I prefer the speed and ease of use found with my Muzzy closed face bowfishing ree. I haven't found anything better than that. 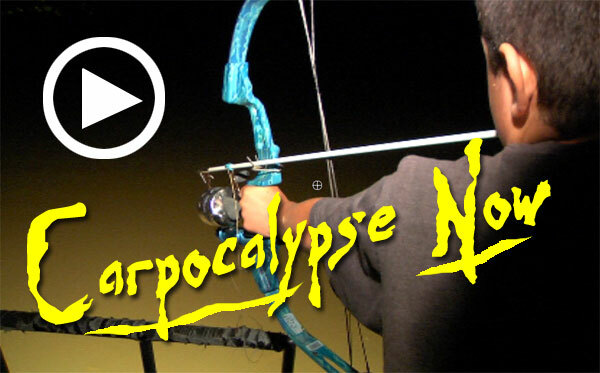 It's fast, rugged, and specifically made for bowfishing. For young kids, you can’t beat the reel we all used 30 years ago which is basically a spool with line wrapped around it. It’s simple and works every time. It’s just a bit too slow to wind up for the experienced guys. 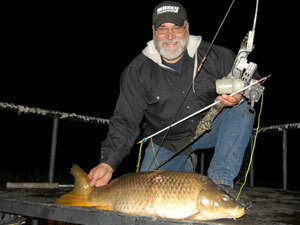 Muzzy's new Xtreme Duty Bowfishing Reel is built for abuse and is the best I've used to date. 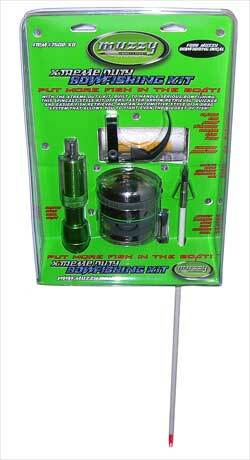 Muzzy's kit includes everything you need to get started including their Xtreme Duty Bowfishing reel! 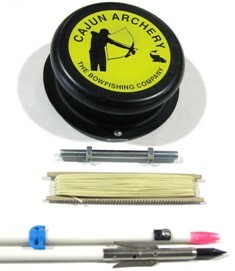 For the beginner looking to get started this kit by Cajun Archery is just the ticket! It comes with everything you need minus the bow. There are lots of choices for bowfishing arrows and you can spend a lot of money on them if you choose to, but in all honesty I don’t, especially for rough fish. 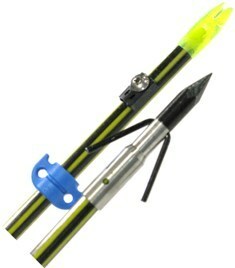 My favorite is the Muzzy classic fish arrows and I also like the Yellow Jacket Arrows by Cajun Archery. Both retail around $20 each with the points . 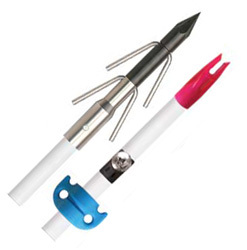 There are other arrow options available but I’ve not found them to be any more reliable or effective than the lower end arrows when shooting carp. 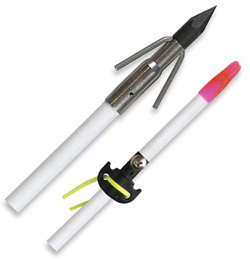 For big game fish and gators, all bets are off and I look hard at arrows designed for big game. I’ve only used two points in my entire bowfishing career. 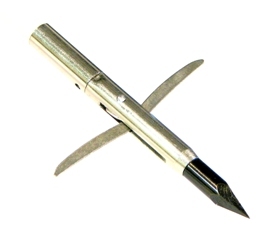 I started out using a Sting-a-ree point and I still use them today. Most of my fishing is done using the Muzzy bowfishing point which has served me well for perhaps thousands of carp over the years. There are other styles and frankly some of them seems silly to me, I like to stick with the simple gear and these two heads work well. I prefer the heavier 200lb test braided FF or spectra Bowfishing line on my Muzzy closed faced reels. For big game like Alligators and Gator Gar shot out of my Retriever reel, it’s also braided line only in 350lb test. 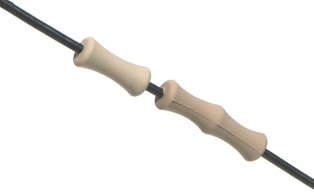 This is a simple to use rest but it works great and fits on both recurves and wheel bows. We use a NO GLOV on all our fish bows. It saves your fingers and is far cleaner than wearing a tab or shooting glove.